saxophonist with the Concert Band, The United States Air Force Band, Washington, D.C. 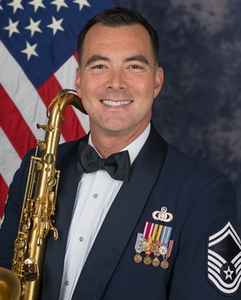 He also performs with the Ceremonial Brass, and is a member of the United States Air Force Saxophone Quartet. In addition to his performance duties, McCray is a Web Content section manager and Unit Deployment manager. Originally from Fairfax, Virginia, he began his Air Force career in 1998.